There are certain guests who we don’t want to overshadow with our foolishness. Tony Rock is one of those guests. He’s brutally honest and his commentary is dead on. For one, well before President Trump ushered out “his” blacks and shouted out Fredrick Douglass like he was still alive, Rock urged Patti LaDanielle aka Danielle Young, not to assume that Black History Month was a for drawn conclusion because you know Trump is in office and, well, yeah. Rock, will be hosting a new dating game show The Game of Dating, which blends game show style questions around couples on real dates, so of course we asked him about which couples (think Putin and Trump type couples,) would or wouldn’t make it and his answers are hilarious. More importantly, Tony Rock believes that I am the star of the show. He didn’t say it, but I can pick up off energy and his energy told me that he’s rooting for me to dump LaDanielle and really chart out on my own course. 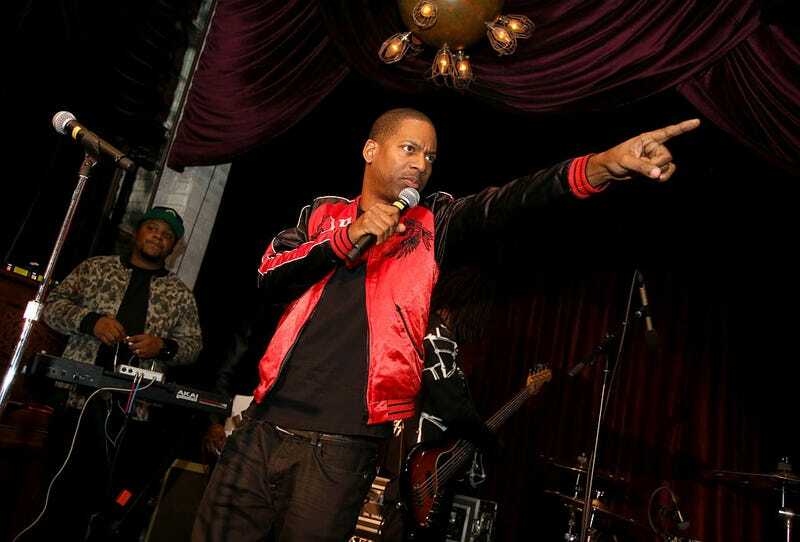 The spirit energy I sent back was, “I hear you Mr. Rock, I hear you.” Until I can lose Patti LaDanielle I’m stuck with her and you can hear our interview with Tony Rock below. We love y’all, so love us back! We’re on iTunes!!!! Click here and subscribe, and follow us on the Twitters here.